Contamination, the introduction of a pollutant or undesirable material into the air, soil, or water, has many negative and far-reaching effects. Thus it is important to protect drinking water from contamination for public health, economic, and environmental reasons. Water is necessary to all living things. It makes up approximately 70% of the human body’s weight and plays a role in its functions, such as digestion and cooling. Without clean drinking water, we could not survive. 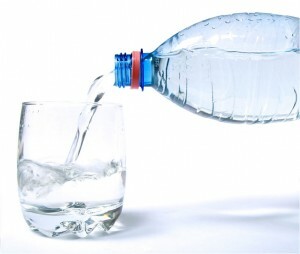 If the drinking water is contaminated, many health risks can result: bacteria can result in illnesses such as hepatitis or cholera; a component of gasoline, benzene, is known to be a carcinogen; lead causes kidney, liver, and nerve damage as well as pregnancy risks. Protecting drinking water also makes good environmental sense. In the past, people thought that if we buried chemicals in the ground they would disappear. This is now a proven fallacy that has resulted in dire consequences for our environment. Everything we put into the environment accumulates. Contamination can take years to clean up and not all ground water contamination can be treated successfully with current technology. This is why pollution prevention is crucial. Contamination is the introduction of a pollutant or undesirable material into air, soil, or water. There are three types of contaminants: microorganisms, inorganic chemicals, and organic chemicals. Microorganisms are living organisms such as bacteria, viruses, and Giardia. Inorganic chemicals such as nitrate, arsenic and metals are another type of contaminant. Microorganisms and some inorganic chemicals are naturally occurring substances that taken out of drinking water through treatment at our local water systems. Organic chemicals can be solvents, fuels, and pesticides. AC filters have a limited lifetime. Eventually, the surface of the AC becomes filled with adsorbed pollutants, and no further treatment occurs. ‘’Break-through” takes place when pollutants break through the filter and emerge in the treated water. When it happens, contaminant concentrations in the treated water can possibly be even higher than those in the untreated water. The cartridge then needs to be replaced. Knowing when breakthrough will occur and when to replace the cartridge is thus a major problem with AC treatment. Unfortunately, unless the pollutants are smelled or tasted, they can be unknowingly consumed. In most cases, break-through can be positively verified only by chemical testing. Frequent chemical testing is impractical and expensive. Some cartridges are sold with predictions about their longevity. But these are generally only crude estimates since they do not consider the characteristics of a specific water source. The retailer from whom you purchase the treatment device can better estimate a filter’s useful lifetime based on water usage (flow rate) and pollutant concentrations, shown in the chemical analysis. To make the most accurate estimates, you should learn what these amounts are before purchasing the system. If pollutant concentrations increase over time, and without testing done to reveal the change, such estimates may not be very practical or useful. AC filters can be excellent places for bacteria to grow. A filter saturated with organic contaminants, or one that has not been used for a long time, provides ideal conditions for bacterial growth. A saturated filter supplies the food source for the bacteria. It is still unclear whether bacteria growing on the carbon pose a health threat. Some manufacturers place silver in the AC to prevent bacterial growth. The effectiveness of the silver has not been independently verified. In addition, the silver may contaminate the drinking water.